Billy is a troubled young boy dealing with the anniversary of his father's death on one of the happiest days of the year - Christmas Eve. Not only that, but he has his mother's new partner, Dan, to deal with too. When Dan accidentally ruins the one thing sustaining Billy through his grief, no one could have imagined how badly the night was going to end. 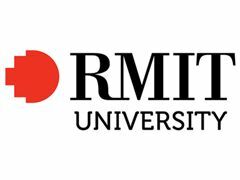 "The Lie of Red and White" is a black comedy short film currently being developed by RMIT's finest 3rd year media students. The film will be 5 minutes of comedy, drama, suspense and horror, entertaining audiences from start to finish. All the filming will be conducted at a single location in Melbourne's suburbs between the dates of August 29 and September 14th (TBC). The shoot will be no longer than 3 days child actors will be hired according to union guidelines. As this is a student film, we are unable to provide any financial remuneration in reward for your work however, all fuel costs will be covered and you will be well fed throughout the shoot. This film is set to become an extremely funny, engaging production sure to entertain audiences around the world. We will be entering the film in festivals and competitions following its completion so this is a great opportunity for exposure for you as an artist. Billy is a quiet, sad little boy who deeply misses his father. He finds it difficult to engage with kids his own age and generally keeps to himself. He plays violent video games as an outlet to his anger and can appear quite scary at times, almost demonic. We are looking for a young boy of slim build with dark, short hair, light, large eyes, with a sensitive demeanor. He should not be boisterous or demanding but kind and considerate. Sally comes from a wealthy, upper class background which encouraged her to believe that financial security is key to a happy life. She is a part-time receptionist which allows for her to care for Billy in her spare time who she feels particularly protective of since the death of her husband. We are looking for someone refined, of slim build, with a clean cut appearance, no tattoos/scars/facial piercings, who understands the importance of good presentation. Dan is the guy you love to hate. He'll offer you help but will generally leave you in a worse state then before he offered. As a mechanic, he's a hardened man and appears to be quite rough. On the inside, he's actually quite soft and if anything, is just a tad bit dumb. Dan is a larger man, tall, with big hands. He is a bit of a clutz who doesn't understand how the things he says can affect those around him. He needs to be a bit on the large side, not obese, but slightly heavier than average.